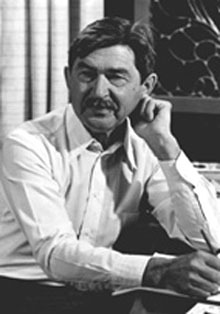 American chemist Henry Taube won the Nobel Prize for Chemistry in 1983, for his studies of oxidation-reduction or "redox" reactions, wherein electrons are gained or lost during a chemical reaction. In 1952 he showed the correlation between the rates of chemical substitution of carbon in organic reactions and the electronic structure of certain chemical complexes. In 1966 he discovered that some molecules build a "chemical bridge" prior to the transfer of electrons between molecules in chemical reactions. He later demonstrated how the electron transfer process in metals is affected by the structure of the chemical bridge.